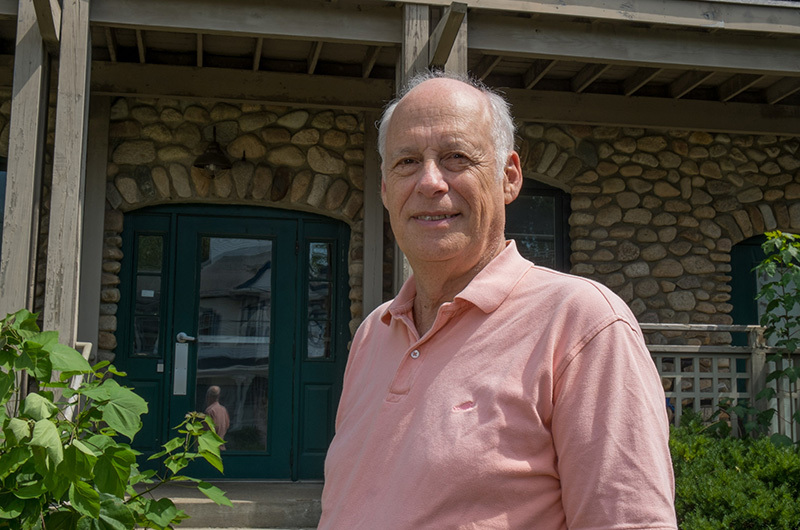 As executive director of the Martha’s Vineyard Commission, Mark London’s reach extended beyond the Olde Stone Building where so many late-night meetings went on with him seated at the table or in the audience. In a complex community, Mark did his job well and earned respect as a leader. He spent much of his time weighing the needs of some with the concerns of others, always trying to help commissioners and the rest of us sort through the minutia and the heavy swinging balls posing change. For me, our friendship was mostly professional and our paths crossed regularly, whether it was for a photograph or a story. But we also shared a love for traditional folk music. He was more comfortable with me when I held a guitar. In his working life Mark was nervous around me when I held a camera, especially when he was sitting at his desk for a posed photo. He told me how uncomfortable he was. My technique for getting a smile was to steer the topic outside of his office to traditional folk music. With that subject he was as comfortable as any photographer could wish. He loved to talk about music and report to me on his folk music travels. And no matter what the Island music venue, Mark was often there in the audience with his wife Linda Thompson. They were always so attentive, listening to the singers, musicians and storytellers. We are a talented Island. We have planners, public safety officials, bean counters and developers and the most spirited volunteers in our political sphere. Many of them share common core values. They go to concerts and listen to the Island heartbeat. For those of us who treasure live music, including the old-time tunes, Mark London will be especially missed.